January 11, 2018 Fidelity Printers and Refiners (FPR) embarked on a gold mobilisation outreach programme from October to December, 2017 as part of measures to increase gold deliveries. Targeting small scale miners, artisanal miners, gold buyers and millers, the outreach programme also aimed at strengthening the relationship among key stakeholders in the gold mining industry and to ensure that activities carried out are in an aligned manner. Joining the FPR team during the roll out of the programme were the following stakeholders; Ministry of Mines and Mining Development (MMMD), Minerals and Border Control Unit (MBCU), Zimbabwe Revenue Authority (ZIMRA), Environmental Management Agency (EMA) and the Reserve Bank of Zimbabwe (RBZ). The programme which was rolled out across the country started on the 5th of October, 2017 in Mazowe at Doxford and Msasa. Other areas visited included; Harare at Glenforest, Chinhoyi at Hoyi Grounds, Mt Darwin at Mukaradzi, Mberengwa at Goga, Filabusi at Killarney, Gwanda at Only Mine and concluded on the 14th of December, 2017 in Bulawayo at Sunace Mine. The objectives of the outreach programme entailed; building cordial relationships with our customers, understanding the challenges being faced by our customers in order to craft interventions were possible; knowing the size and dynamics of our market, where they are located and operate so that we develop appropriate strategies and also sharing information that showcases the services we offer. By year end 2017, FPR had managed to reach a target of 24.8 tonnes, an increase from 21.1 tonnes attained in 2016. 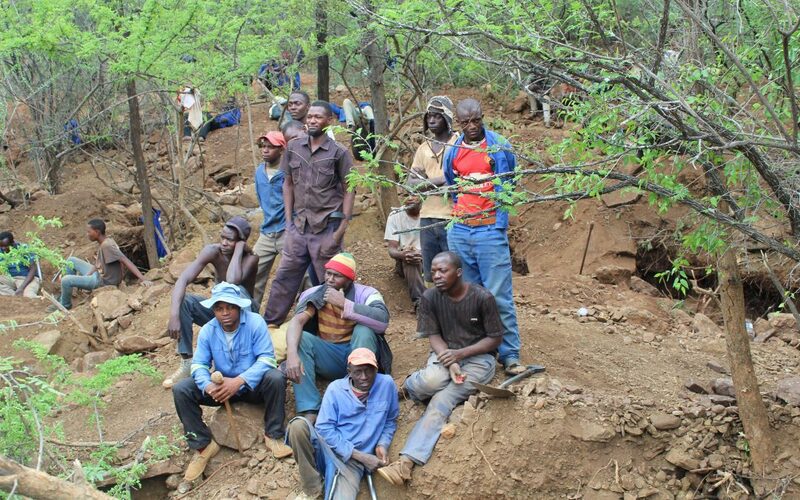 Of the 24.8 tonnes, small scale miners contributed 13.2 tonnes while primary producers delivered a total of 11.7 tonnes.